1. Hervana Boxed blush £23.50 - You don't really hear much about this in the blogging world but the reviews I have read all sing its praises. 2. They're real mascara £19.50 - On the other hand this is probably one of the most blogged about products ever and every review I've read has said its amazing, I just don't know if I'm brave enough to fork out 20 quid for a mascara. 3. The porefessional primer £24.50 - Another of the highly praised benefit items, this seems as though it would be a complete savior for my combination skin. 4. World famous neutrals Most glamorous nudes ever £23.50 - If your a regular reader over here you will know I love neutral shadows and these just seem perfect as I've been looking for a slightly darker set of browns. 5. Go tropiCORAL face kit £25.50 - This seems like the perfect little cheek and lip kit I love coral and I have a perfect shaped space for this in my collection! 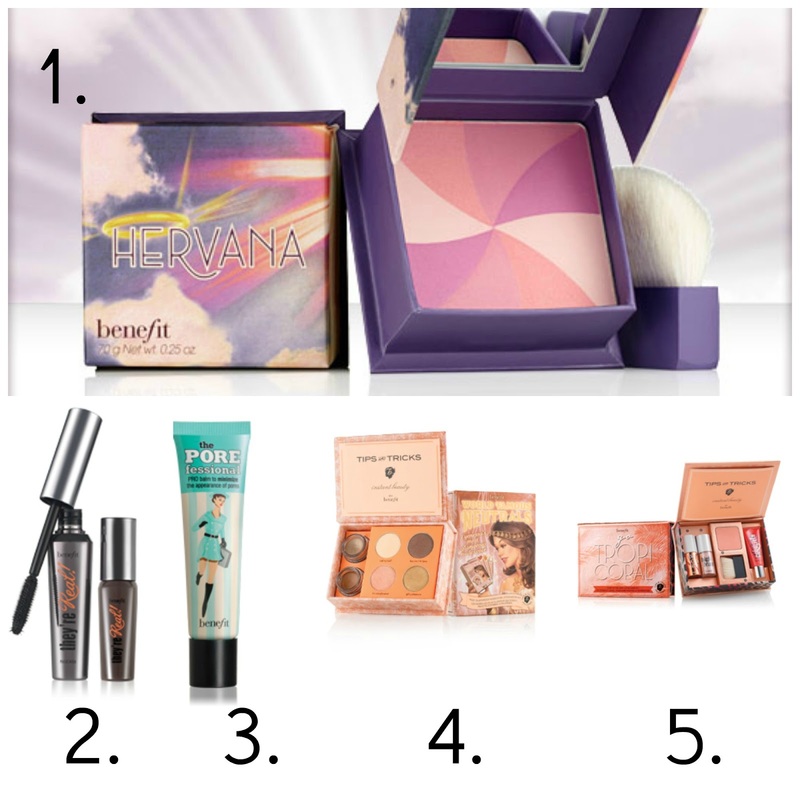 Are you guys lusting after/loving any benefit products lately?